'Cold brew' coffee seems to be on every coffee house menu in town. Approximately, six ounces, or so, over ice will probably set you back somewhere between $3.50 and $4.00. 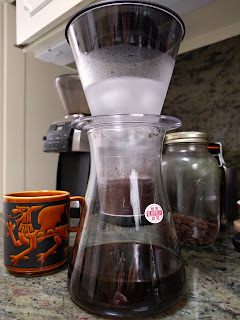 Not only does cold brew cost a pretty penny, it's very flavorful (unlike plain old coffee over ice) with low-acidity, so it's easy on the stomach. 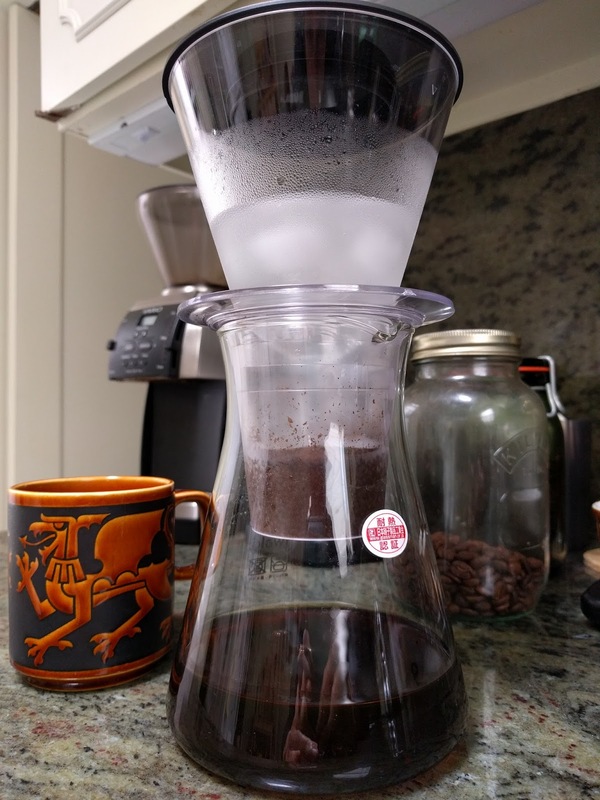 Being frugal and having difficulty with acidic foods of late, I've invested in a cold brew coffee maker for 'at home' coffee enjoyment. 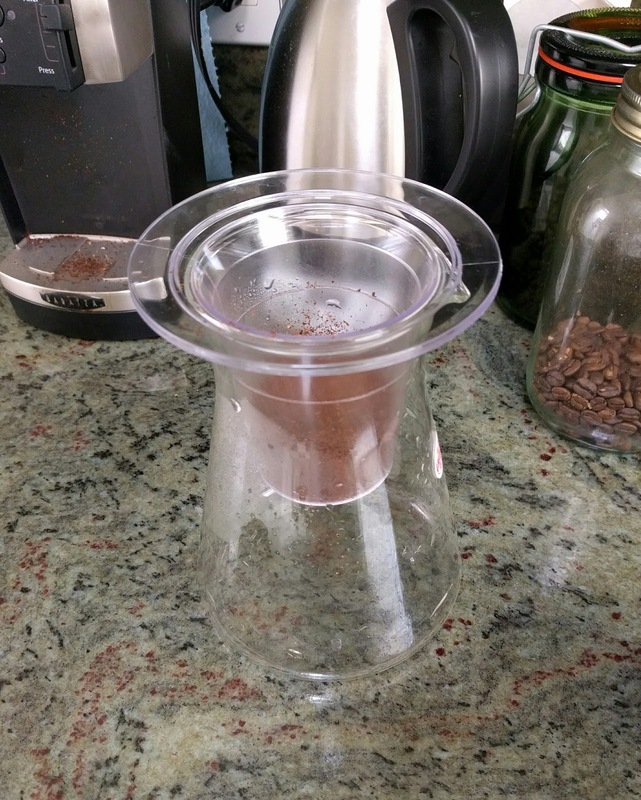 With it, making coffee is quite easy, if, however, time-consuming at around 45 minutes. That's okay. I can wait. Approx. 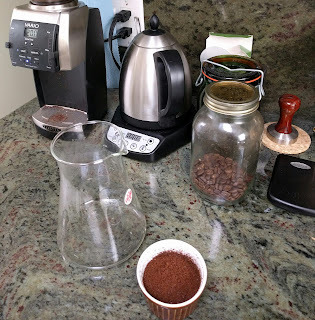 24 mg of coffee grounds does the trick. 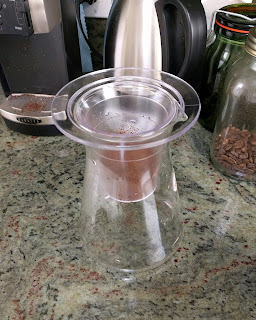 Wee filter helps to distribute water evenly. 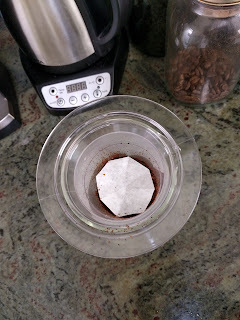 I took an aeropress filter & cut it to size. Coffee filter fits easily into beaker. Fill top chamber with H2O & pop it over filter. Bea, I have seen it but never tried it. I am no coffee aficionado though as I drink one cup of Starbuck's VIA Veranda Blend each morning from a little packet. I'm glad I don't have a Starbucks nearby as I would definitely have empty pockets. You are too young to have stomach problems. I developed acid reflux and now IBS. It is horrible. Oh, no, Donna! I was diagnosed with interstitial cystitis back in Feb. only to have a second doc quash the first one's diagnosis. Things mostly now feel okay, but I still take it easy as I don't want to pain to flare up. Can acid reflux be managed with anti-acid tablets and dietary changes? Yes, with omniprizole (Prilosec) but I've been taking it for more than ten years and cannot go a day without it. I'm too weak to stick with dietary changes. The IBS is unrelated and started five years ago. My Mom died when I was 17 and I don't have an oldster to lead me down the getting older path. It is not fun. Take care of yourself while you're young and hopefully avoid the bad parts of aging. I am never even heard of cold brew - let alone seen it or tried it. Mind you, I had to give up coffee more than twenty years ago, so it is probably just as well. I hope it is kind to your poor tummy. I've been noticing these cold brew coffee ads. ........what is the difference between cold brewed coffee and ice coffee? Hey, Mich! 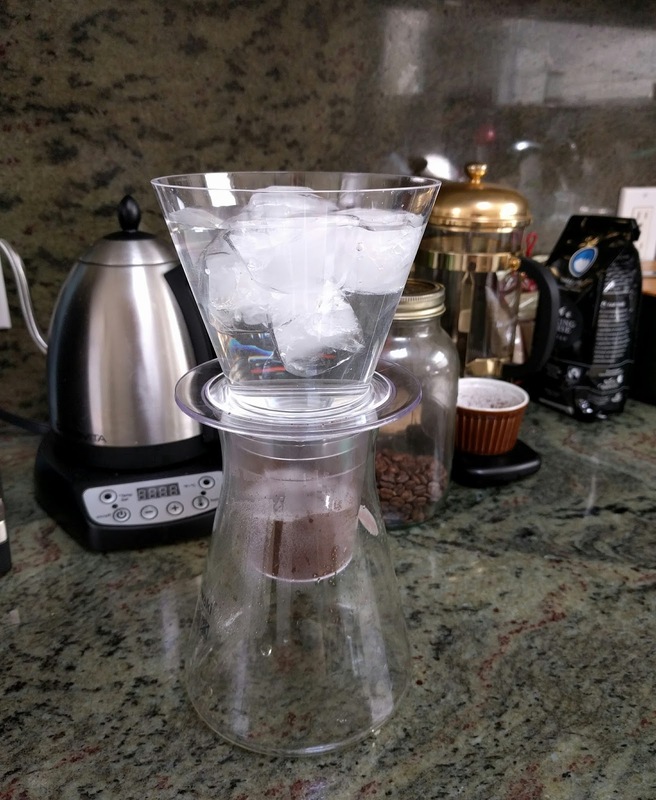 Cold brew is a cold water extraction process (and slow going) whereas iced coffee is a hot extraction cooled down & poured over ice. The cold brew is meant to have less acidity--easier on the tummy--than regular, hot-brewed coffee.